Ok. So. You’re a science writer for a website. You get assigned, or you assign yourself, to write an article about a science research paper. The research paper did not come out today, it instead went online on July 13th. That means other people have already written about it. For example, it was covered by New Scientist on July 30th, and that coverage was already quoted by IFLScience the next day. Maybe noticing that they had a news-worthy article on their hands, the university of one of the three authors of the research paper put out an article, written by Isabelle Dubach. And this leads to an ethical dilemma which is actually not even that difficult of a dilemma. If you’re a science writer for a website you have three main things you can do here. 1 You can not quote that university article and not cite it. That’s fairly ethical; there is no reason to cite a work you don’t use in your writing. 2 You can quote that university article and cite it. That’s fairly ethical also. Science Alert did that six days ago, EarthSky did that today, and both of those science writing websites did the right thing. 3 You can quote that university article and not cite it. That’s the least ethical of these three options, but IBTimes India did that. So did Gizmodo, a website in our local neighborhood. I’ll quote from the Gizmodo article and discuss what parts of it are salvaged from the work of Isabelle Dubach and at least one and potentially two other sources. This line is similar to the headline used by Isabelle Dubach. There’s a link in those words to an Amazon salespage for a book, which feels weird. The “54 skeletons and 51 heads” wording is how the Wikipedia article on the burial pit reads, which seems suspicious. 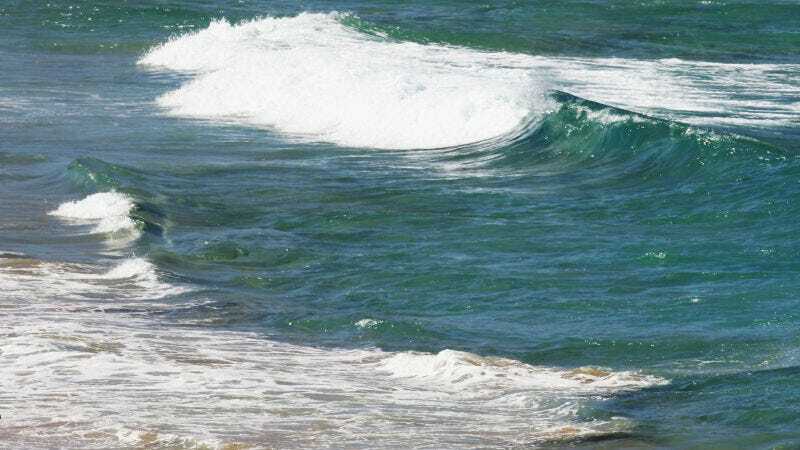 Study co-author James Goff from the PANGEA Research Centre at UNSW Sydney says tsunamis are rarely, if ever, considered as explanations for burial sites, which may explain why no prehistoric mass graves have been identified as being tsunami-related. This sentence is a partial paraphrase of a direct quote from James Goff, as captured by Isabelle Dubach. This entire paragraph is a second-hand quote from Isabelle Dubach’s article. For the study, Goff and his colleagues considered mass burial sites located around the world, including the Solomon Islands and Vanuatu ..., and the Orkney and Shetland islands ... These graves ranged in age from 5,000 to 500 years ago. This is a paraphrase of what Isabelle Dubach wrote. This paragraph is a summary of a few paragraphs of the research paper. Since the research paper is cited, it feels ethical to summarize its contents. This paragraph includes what it claims is a direct quote from the paper, except that someone (the author? an editor?) erroneously fixed the paper’s UK-English into US-English. Also, recent tsunamis in the Indian Ocean and Japan have demonstrated the power of tsunamis to produce deaths en masse. The death tolls in modern coastal populations because of recent catastrophic tsunamis in Japan and Indonesia have shown the world just how devastating these events can be. After the Indian Ocean tsunami, for example, as many as 60,000 to 70,000 victims were buried in Banda Aceh alone. So that seems to be another thing that could be cited. If this website had any form of ethical concerns. To be clear, the researchers aren’t saying that every prehistoric mass burial along the coast is related to a tsunami. Rather, they’re simply asking archaeologists to reconsider and re-evaluate ancient mass graves found in coastal contexts. Since I didn’t see this least ethical science writer at Gizmodo write anything for two weeks, I hoped that their absence meant that they had decided to take the Gizmodo Media Group union-negotiated buyout. But that turned out to be a false hope. This Gizmodo writer published two articles yesterday which both cited the main sources of their information. I hoped that this better writing meant that they (or their editors) had decided to not continue unethical writing. But that turned out to be a false hope. This particular Gizmodo article could avoid its unethical nature by adding three links. That’s it, just adding three links. Not that difficult to do. Maybe someone on the staff can add them in. I don’t know, it’s up to them. Top image from Gizmodo. Gizmodo cited it as an image from Getty. It is an image from Getty which Gizmodo edited but they didn’t mention the editing for whatever reason.